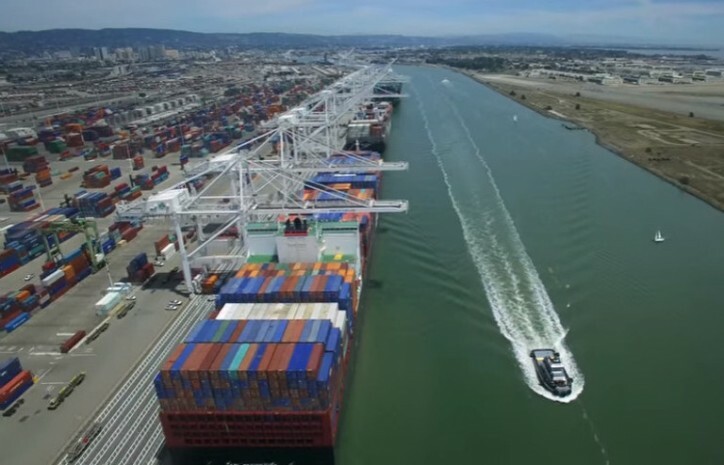 Port of Oakland total container volume increased 3.6 percent in July, according to data released yesterday. The Port said the rise over July 2017 totals was driven by an increase in empty container shipments to Asia. Import cargo volume declined 0.6 percent in July, the Port said. Exports were down 7.3 percent. The Port said the increase in empty container volume may have resulted from strong import activity earlier in the summer. When import boxes are emptied, they must be returned to origin points to be reused for further cargo shipments to the U.S.
For all of 2018, Oakland’s total container volume – which measures imports, exports and empties, has increased 2.5 percent. The Port said it would establish a new full-year volume record, if the trend holds.